Another term of Congress and U.S. Senator Paul Rand (R – Kentucky) has again introduced legislation to repeal FATCA. Short for the Foreign Account Tax Compliance Act, FATCA seeks to combat offshore tax evasion by requiring banks to report account holders with offshore accounts. FATCA was passed by Congress in 2010 and has two components. The first component requires taxpayers to disclose information about foreign financial holdings. A second component requires foreign banks and other financial institutions to research their account base and notify the IRS of those accounts with ties to the United States. Bank reporting begins this year. When initially introduced, privacy advocates, banks and some foreign countries were quite upset with the law. Instead of fighting the law, many foreign countries are now pursuing their own version of FATCA. The Republicans two years ago decided to seek the repeal of FATCA, or at least those portions of the law they feel violate a person’s right to privacy. Senator Paul previously introduced a bill to repeal FATCA but the measure went nowhere. Although the Republicans now control both the House and the Senate, the bill will likely fail again. We agree that FATCA has its flaws and are especially troubled by the penalties imposed on taxpayers who fail to disclose their offshore accounts. Under existing law, the penalties for failing to disclose foreign accounts are huge. A willful violation can be punishable by 5 years in prison and the civil penalties are almost as bad, up to the greater of $100,000 or 50% of the highest historical account balance. That means you can be punished today for an account you had and closed years ago. In our experience, most people with unreported accounts are dual nationals, Americans living overseas, foreign-born Americans, green card holders and folks with businesses or employees outside the United States. They are not money launderers, criminals or tax evaders. The IRS does offer several options to help taxpayers to comply. Included are amnesty options but those disappear if the IRS finds the account first. Because FATCA now has banks searching their accounts, time is quickly running out. 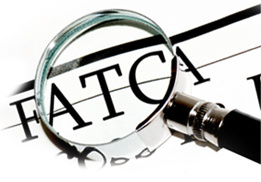 Have an unreported foreign account or questions about FATCA, FBARs or foreign gift reporting? Give us a call. All inquiries are protected by the attorney – client privilege and kept confidential. Our IRS services are available worldwide and most services can be handled for a reasonable flat fee.